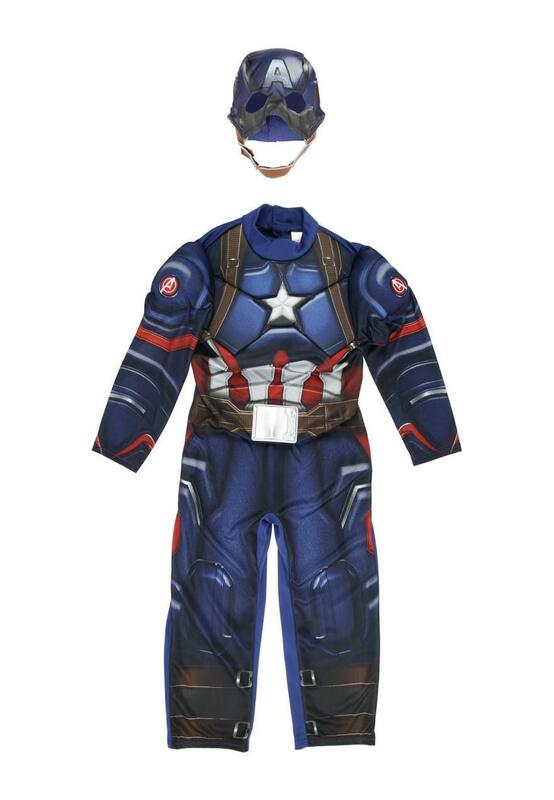 They'll be a complete superhero in this Captain America all-in-one outfit. Featuring a graphic print and matching face mask, it's the perfect outfit for all of those upcoming fancy dress parties! We want you to be safe& have fun at Halloween, that’s why all our costumes have undergone additional safety testing for contact with flames. Adult supervision required. 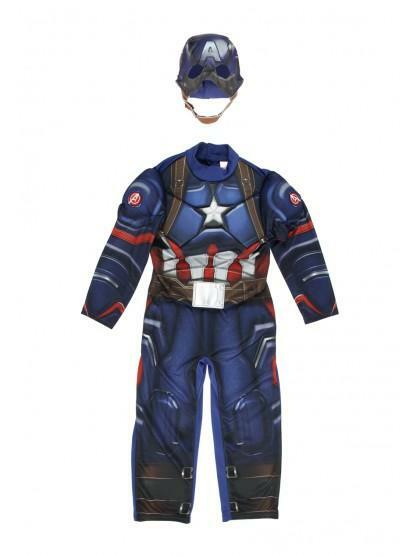 My son loves it, tho shame it didn't come with a shield as have seen the same type of costume from other retailers, that include one as part of the costume, for the same price. Which made this costume a little more expensive, as to complete the outfit, we had to buy one elsewhere.